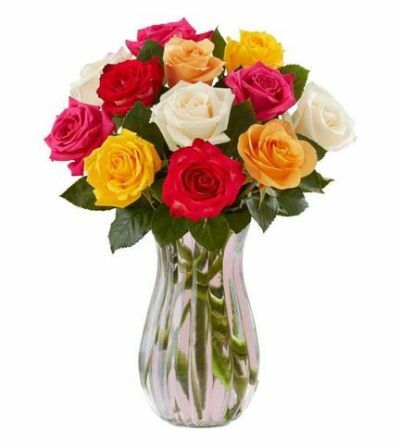 12 Multi color roses vase is an expression of love and sweet surprises which truly delights your day. Send flowers online which handpicked and the arranged beautifully with our expert florist. The image displayed is indicative in nature. Actual Rose Color and vase design may vary in Flowers and design as per the availability.